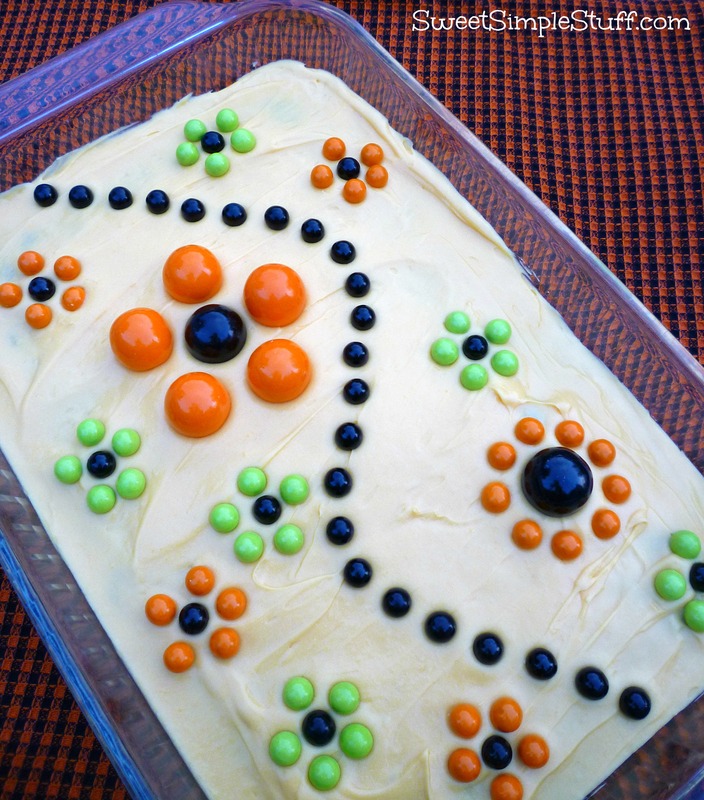 Do you ever take a dessert to a potluck, family gathering or maybe a Halloween Party in a pan? I do! 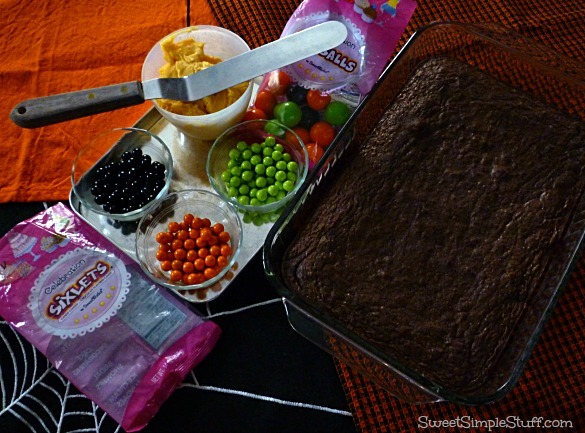 Do you ever want to make that dessert look a little prettier than just a typical pan of brownies? I do! 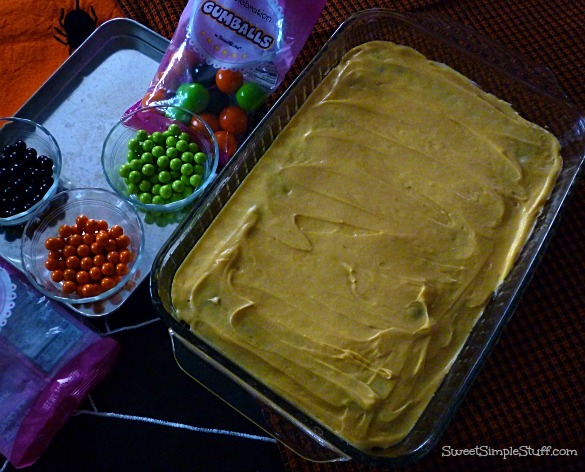 Do you remember the Halloween Cupcakes that I made last week using Sixlets and Gumballs? Well, I still had some candy, gum and frosting leftover. Now I was finally home and loosing daylight quickly … finished the brownies in the house … moved outside to take final photos. I actually frosted the brownies in the living room on the ottoman (while the hubby was watching and eating pizza) … to get some natural light!!! 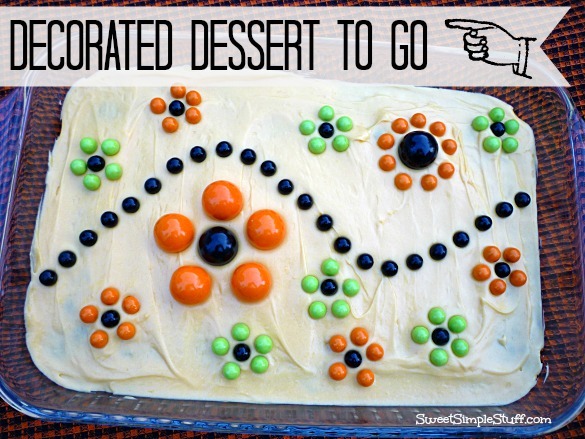 I’m sharing this info to let you know how quick and simple the frosting and decorating was to do. There is no right or wrong way to decorate … just the way you want to do it! I still have candy and gum left! Humm, maybe I should have made more flowers? 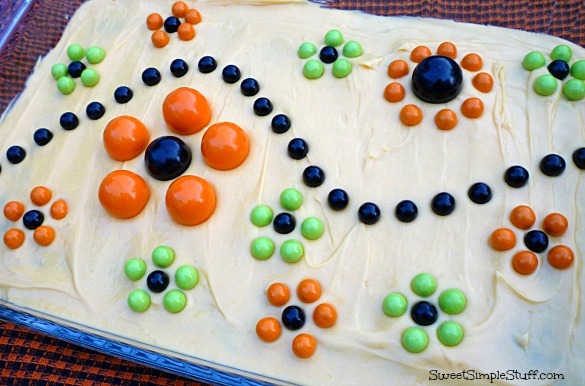 I used Halloween colored Sixlets and Gumballs, however I don’t feel that this is specifically “Halloween”. I love the color combo! You can always change-up the colors to fit any occasion. Looks pretty and good. Thought they might be for poker nite. LOL. Your cake is so pretty. I love your use of candies for decorations. 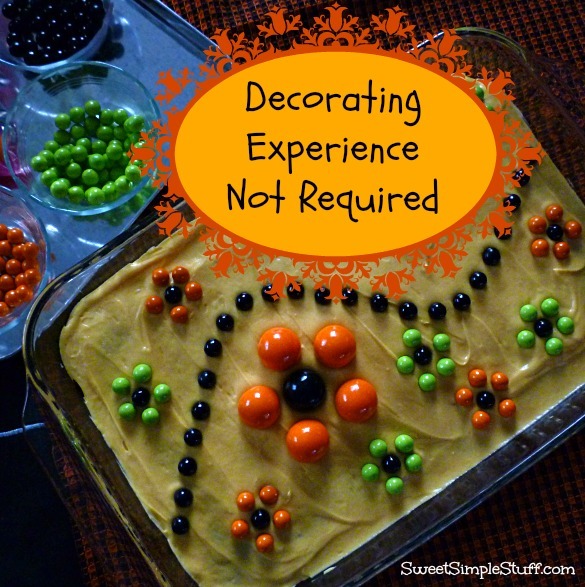 Great idea for anyone, even with decorating experience. I really can’t add any thing more then what Ellen & candygarden has ll ready said. Your decorating ideas are awesome. Great decorating job. It’s so pretty.